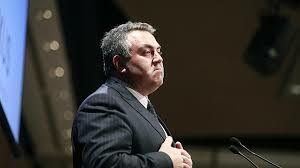 If Joe Hockey’s first budget wasn’t enough to convince people that the government was going into bat for the nation’s wealthy, then Joe himself has surely confirmed this with his recent suggestions that the rich have already done their share of heavy lifting. But as Warwick Smith reports, Mr Hockey certainly isn’t playing with a straight bat. Recent reports show that the government knew beforehand that the federal budget would hit lowest income earners hardest. Treasury modelling predicted that low income earners would lose $844 and high income earners lose $517 per year. Treasurer Joe Hockey’s response demonstrates that he thinks the rich are doing too much of the heavy lifting and are unfairly burdened by the tax and transfer system. For a start, the factual basis of Hockey’s statement is false. If you’re on $180,000 per year (often cited as the threshold to be considered high income) and you make no deduction claims you pay less than one third of your income in tax. Now, if your taxable income is $20 million per year, you do in fact pay close to half your income in tax. The reality though is that people who earn that much use complicated financial and accounting arrangements which result in them paying much less than the marginal tax rate of 47%. The genuinely wealthy don’t pay much income tax, that’s largely reserved for wage earners. So, factually what Joe says here is just plain wrong. Make no mistake, he knows it’s not true. He may not be the best Treasurer we’ve ever had but I’m fairly confident he knows the difference between marginal tax rates and average tax rates. Now, onto the relevance of the remark for the point he’s trying to make. The assertion is that the budget measures hit low income earners hardest. The response is that high income earners pay lots of tax and low income earners pay little. The Treasurer’s response has no bearing whatsoever on the assertion he is trying to refute. I think we should make logic classes mandatory for politicians. See, what Hockey says can be true (though the specifics are certainly false) and the reported Treasury modelling figures and Fairfax’s comments about them can be true. This means that what Hockey has said is not a refutation of the figures, it’s just an unrelated assertion. I don’t want to spend too long repeating myself but, once again, what Hockey says here is both factually incorrect and irrelevant to the question at hand. Welfare payments and funding for concessions come from consolidated revenue, of which a bit less than half comes from individual income tax. So, only every second dollar comes from higher income households. Again, Hockey knows that but he’s not one to let facts get in the way of a good argument – or, in this case, a bad argument. Does the fact that high income earners support low income earners refute the validity of the claim that low income earners suffer more under the budget measures? No, of course not. Again, it’s just another unrelated assertion meant to serve as distraction. Hockey failed to meaningfully respond to the Treasury modelling. What he does say though is very revealing. His response is a continuation of his “lifters and leaners” narrative of the budget. He’s effectively saying that low income earners deserve to suffer more than high income earners because the high income earners are already suffering so much. Their suffering is caused by the tax office taking from them to give handouts to the bludgers at the bottom of the social pile. This is the only possible interpretation of Hockey’s words that I can come up with. He’s saying that the budget measures are not unfair, they’re just correcting a little bit of the unfair burden that the rich already bear. I think it’s important that we see these statements for what they really are. Joe Hockey wants the poor to be largely left to fend for themselves so as not to be a burden on his wealthy mates and campaign contributors. He either doesn’t understand or doesn’t care about the mountain of evidence that shows that the country as a whole will be much worse off if we allow wealth and income inequality to grow. This entry was posted in Australian politics, political economy, tax economics and tagged Economic policy, inequality, taxation, The AIMN, welfare. Bookmark the permalink.